The Staatliches Bauhaus (German: [ˈʃtaːtlɪçəs ˈbaʊˌhaʊs] ( listen)), commonly known as the Bauhaus, was a German art school operational from 1919 to 1933 that combined crafts and the fine arts, and was famous for the approach to design that it publicized and taught. The Bauhaus was founded by Walter Gropius in Weimar. The German term Bauhaus—literally "building house"—was understood as meaning "School of Building", but in spite of its name and the fact that its founder was an architect, the Bauhaus did not initially have an architecture department. Nonetheless, it was founded upon the idea of creating a Gesamtkunstwerk ("'total' work of art") in which all the arts, including architecture, would eventually be brought together. The Bauhaus style later became one of the most influential currents in modern design, Modernist architecture and art, design, and architectural education. The Bauhaus movement had a profound influence upon subsequent developments in art, architecture, graphic design, interior design, industrial design, and typography. The school existed in three German cities—Weimar, from 1919 to 1925; Dessau, from 1925 to 1932; and Berlin, from 1932 to 1933—under three different architect-directors: Walter Gropius from 1919 to 1928; Hannes Meyer from 1928 to 1930; and Ludwig Mies van der Rohe from 1930 until 1933, when the school was closed by its own leadership under pressure from the Nazi regime, having been painted as a centre of communist intellectualism. Although the school was closed, the staff continued to spread its idealistic precepts as they left Germany and emigrated all over the world. The changes of venue and leadership resulted in a constant shifting of focus, technique, instructors, and politics. For example, the pottery shop was discontinued when the school moved from Weimar to Dessau, even though it had been an important revenue source; when Mies van der Rohe took over the school in 1930, he transformed it into a private school and would not allow any supporters of Hannes Meyer to attend it. After Germany's defeat in World War I and the establishment of the Weimar Republic, a renewed liberal spirit allowed an upsurge of radical experimentation in all the arts, which had been suppressed by the old regime. Many Germans of left-wing views were influenced by the cultural experimentation that followed the Russian Revolution, such as constructivism. Such influences can be overstated: Gropius did not share these radical views, and said that Bauhaus was entirely apolitical. Just as important was the influence of the 19th-century English designer William Morris (1834–1896), who had argued that art should meet the needs of society and that there should be no distinction between form and function. Thus, the Bauhaus style, also known as the International Style, was marked by the absence of ornamentation and by harmony between the function of an object or a building and its design. The Bauhaus was founded at a time when the German zeitgeist had turned from emotional Expressionism to the matter-of-fact New Objectivity. An entire group of working architects, including Erich Mendelsohn, Bruno Taut and Hans Poelzig, turned away from fanciful experimentation, and turned toward rational, functional, sometimes standardized building. Beyond the Bauhaus, many other significant German-speaking architects in the 1920s responded to the same aesthetic issues and material possibilities as the school. They also responded to the promise of a "minimal dwelling" written into the new Weimar Constitution. Ernst May, Bruno Taut and Martin Wagner, among others, built large housing blocks in Frankfurt and Berlin. The acceptance of modernist design into everyday life was the subject of publicity campaigns, well-attended public exhibitions like the Weissenhof Estate, films, and sometimes fierce public debate. The school was founded by Walter Gropius in Weimar on April 12, 1919 as a merger of the Weimar Saxon Grand Ducal Art School and the Weimar Academy of Fine Art. Its roots lay in the arts and crafts school founded by the Grand Duke of Saxe-Weimar-Eisenach in 1906, and directed by Belgian Art Nouveau architect Henry van de Velde. When van de Velde was forced to resign in 1915 because he was Belgian, he suggested Gropius, Hermann Obrist, and August Endell as possible successors. In 1919, after delays caused by World War I and a lengthy debate over who should head the institution and the socio-economic meanings of a reconciliation of the fine arts and the applied arts (an issue which remained a defining one throughout the school's existence), Gropius was made the director of a new institution integrating the two called the Bauhaus. In the pamphlet for an April 1919 exhibition entitled Exhibition of Unknown Architects, Gropius proclaimed his goal as being "to create a new guild of craftsmen, without the class distinctions which raise an arrogant barrier between craftsman and artist." Gropius's neologism Bauhaus references both building and the Bauhütte, a premodern guild of stonemasons. The early intention was for the Bauhaus to be a combined architecture school, crafts school, and academy of the arts. Swiss painter Johannes Itten, German-American painter Lyonel Feininger, and German sculptor Gerhard Marcks, along with Gropius, comprised the faculty of the Bauhaus in 1919. By the following year their ranks had grown to include German painter, sculptor, and designer Oskar Schlemmer who headed the theater workshop, and Swiss painter Paul Klee, joined in 1922 by Russian painter Wassily Kandinsky. A tumultuous year at the Bauhaus, 1922 also saw the move of Dutch painter Theo van Doesburg to Weimar to promote De Stijl ("The Style"), and a visit to the Bauhaus by Russian Constructivist artist and architect El Lissitzky. The main building of the Bauhaus-University Weimar. Built between 1904 and 1911 and designed by Henry van de Velde to house the sculptors’ studio at the Grand Ducal Saxon Art School, it was designated a UNESCO World Heritage Site in 1996. From 1919 to 1922 the school was shaped by the pedagogical and aesthetic ideas of Johannes Itten, who taught the Vorkurs or "preliminary course" that was the introduction to the ideas of the Bauhaus. Itten was heavily influenced in his teaching by the ideas of Franz Cižek and Friedrich Wilhelm August Fröbel. He was also influenced in respect to aesthetics by the work of the Der Blaue Reiter group in Munich, as well as the work of Austrian Expressionist Oskar Kokoschka. The influence of German Expressionism favoured by Itten was analogous in some ways to the fine arts side of the ongoing debate. This influence culminated with the addition of Der Blaue Reiter founding member Wassily Kandinsky to the faculty and ended when Itten resigned in late 1922. Itten was replaced by the Hungarian designer László Moholy-Nagy, who rewrote the Vorkurs with a leaning towards the New Objectivity favored by Gropius, which was analogous in some ways to the applied arts side of the debate. Although this shift was an important one, it did not represent a radical break from the past so much as a small step in a broader, more gradual socio-economic movement that had been going on at least since 1907, when van de Velde had argued for a craft basis for design while Hermann Muthesius had begun implementing industrial prototypes. Gropius was not necessarily against Expressionism, and in fact himself in the same 1919 pamphlet proclaiming this "new guild of craftsmen, without the class snobbery", described "painting and sculpture rising to heaven out of the hands of a million craftsmen, the crystal symbol of the new faith of the future." By 1923, however, Gropius was no longer evoking images of soaring Romanesque cathedrals and the craft-driven aesthetic of the "Völkisch movement", instead declaring "we want an architecture adapted to our world of machines, radios and fast cars." 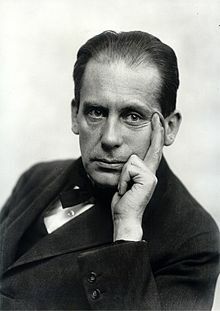 Gropius argued that a new period of history had begun with the end of the war. He wanted to create a new architectural style to reflect this new era. His style in architecture and consumer goods was to be functional, cheap and consistent with mass production. To these ends, Gropius wanted to reunite art and craft to arrive at high-end functional products with artistic merit. The Bauhaus issued a magazine called Bauhaus and a series of books called "Bauhausbücher". Since the Weimar Republic lacked the quantity of raw materials available to the United States and Great Britain, it had to rely on the proficiency of a skilled labor force and an ability to export innovative and high quality goods. 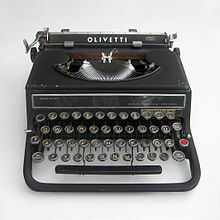 Therefore, designers were needed and so was a new type of art education. The school's philosophy stated that the artist should be trained to work with the industry. Weimar was in the German state of Thuringia, and the Bauhaus school received state support from the Social Democrat-controlled Thuringian state government. The school in Weimar experienced political pressure from conservative circles in Thuringian politics, increasingly so after 1923 as political tension rose. One condition placed on the Bauhaus in this new political environment was the exhibition of work undertaken at the school. This condition was met in 1923 with the Bauhaus' exhibition of the experimental Haus am Horn. The Ministry of Education placed the staff on six-month contracts and cut the school's funding in half. The Bauhaus issued a press release on 26 December 1924, setting the closure of the school for the end of March 1925. At this point it had already been looking for alternative sources of funding. After the Bauhaus moved to Dessau, a school of industrial design with teachers and staff less antagonistic to the conservative political regime remained in Weimar. This school was eventually known as the Technical University of Architecture and Civil Engineering, and in 1996 changed its name to Bauhaus-University Weimar. But Meyer also generated a great deal of conflict. As a radical functionalist, he had no patience with the aesthetic program, and forced the resignations of Herbert Bayer, Marcel Breuer, and other long-time instructors. Even though Meyer shifted the orientation of the school further to the left than it had been under Gropius, he didn't want the school to become a tool of left-wing party politics. He prevented the formation of a student communist cell, and in the increasingly dangerous political atmosphere, this became a threat to the existence of the Dessau school. Dessau mayor Fritz Hesse fired him in the summer of 1930. The Dessau city council attempted to convince Gropius to return as head of the school, but Gropius instead suggested Ludwig Mies van der Rohe. Mies was appointed in 1930, and immediately interviewed each student, dismissing those that he deemed uncommitted. He halted the school's manufacture of goods so that the school could focus on teaching, and appointed no new faculty other than his close confidant Lilly Reich. By 1931, the National Socialist German Workers' Party (Nazi Party) was becoming more influential in German politics. 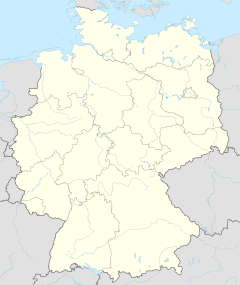 When it gained control of the Dessau city council, it moved to close the school. In late 1932, Mies rented a derelict factory in Berlin (Birkbusch Street 49) to use as the new Bauhaus with his own money. The students and faculty rehabilitated the building, painting the interior white. The school operated for ten months without further interference from the Nazi Party. In 1933, the Gestapo closed down the Berlin school. Mies protested the decision, eventually speaking to the head of the Gestapo, who agreed to allow the school to re-open. However, shortly after receiving a letter permitting the opening of the Bauhaus, Mies and the other faculty agreed to voluntarily shut down the school[when?]. Mies van der Rohe repudiated Meyer's politics, his supporters, and his architectural approach. As opposed to Gropius's "study of essentials", and Meyer's research into user requirements, Mies advocated a "spatial implementation of intellectual decisions", which effectively meant an adoption of his own aesthetics. Neither Mies van der Rohe nor his Bauhaus students saw any projects built during the 1930s. The Bauhaus had a major impact on art and architecture trends in Western Europe, Canada, the United States and Israel in the decades following its demise, as many of the artists involved fled, or were exiled by the Nazi regime. Tel Aviv in 2004 was named to the list of world heritage sites by the UN due to its abundance of Bauhaus architecture; it had some 4,000 Bauhaus buildings erected from 1933 onwards. In the late 1930s, Mies van der Rohe re-settled in Chicago, enjoyed the sponsorship of the influential Philip Johnson, and became one of the pre-eminent architects in the world. Moholy-Nagy also went to Chicago and founded the New Bauhaus school under the sponsorship of industrialist and philanthropist Walter Paepcke. This school became the Institute of Design, part of the Illinois Institute of Technology. Printmaker and painter Werner Drewes was also largely responsible for bringing the Bauhaus aesthetic to America and taught at both Columbia University and Washington University in St. Louis. Herbert Bayer, sponsored by Paepcke, moved to Aspen, Colorado in support of Paepcke's Aspen projects at the Aspen Institute. In 1953, Max Bill, together with Inge Aicher-Scholl and Otl Aicher, founded the Ulm School of Design (German: Hochschule für Gestaltung – HfG Ulm) in Ulm, Germany, a design school in the tradition of the Bauhaus. 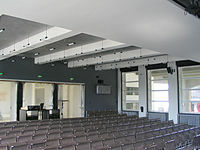 The school is notable for its inclusion of semiotics as a field of study. The school closed in 1968, but the "Ulm Model" concept continues to influence international design education. Later evaluation of the Bauhaus design credo was critical of its flawed recognition of the human element, an acknowledgment of "the dated, unattractive aspects of the Bauhaus as a projection of utopia marked by mechanistic views of human nature…Home hygiene without home atmosphere." The White City (Hebrew: העיר הלבנה‎, Ha-Ir ha-Levana) refers to a collection of over 4,000 buildings built in a unique form of the Bauhaus or International Style in Tel Aviv from the 1930s by German Jewish architects who immigrated to the British Mandate of Palestine after the rise of the Nazis. Tel Aviv has the largest number of buildings in the Bauhaus/International Style of any city in the world. Preservation, documentation, and exhibitions have brought attention to Tel Aviv's collection of 1930s architecture. In 2003, the United Nations Educational, Scientific and Cultural Organization (UNESCO) proclaimed Tel Aviv's White City a World Cultural Heritage site, as "an outstanding example of new town planning and architecture in the early 20th century." The citation recognized the unique adaptation of modern international architectural trends to the cultural, climatic, and local traditions of the city. Bauhaus Center Tel Aviv organizes regular architectural tours of the city. As the centenary of the founding of Bauhaus, several events, festivals and exhibitions are planned around the world in 2019. The international opening festival at the Berlin Academy of the Arts from 16 to 24 January concentrated on "the presentation and production of pieces by contemporary artists, in which the aesthetic issues and experimental configurations of the Bauhaus artists continue to be inspiringly contagious". Google honored Bauhaus for its 100th anniversary on April 12, 2019 with a Google Doodle. ^ Pevsner, Nikolaus, ed. (1999). A Dictionary of Architecture and Landscape Architecture (Paperback). Fleming, John; Honour, Hugh (5th ed.). London: Penguin Books. p. 880. ISBN 978-0-14-051323-3. ^ "Bauhaus Movemen". Rethinking the world Art and Technology – A new Unity. ^ ...], [contributors Rachel Barnes (2001). The 20th-Century art book (Reprinted. ed.). London: Phaidon Press. ISBN 978-0-7148-3542-6. ^ Tony Fry (October 1999). A New Design Philosophy: An Introduction to Defuturing. UNSW Press. p. 161. ISBN 978-0-86840-753-1. Retrieved 15 May 2011. ^ Pevsner, Nikolaus, ed. (1999). A Dictionary of Architecture and Landscape Architecture (Paperback). Fleming, John; Honour, Hugh (5th ed.). Penguin Books. p. 44. ISBN 978-0-19-860678-9. ^ a b Frampton, Kenneth (1992). "The Bauhaus: Evolution of an Idea 1919–32". Modern Architecture: A Critical History (3rd ed. rev. ed.). New York: Thames and Hudson, Inc. p. 124. ISBN 978-0-500-20257-9. ^ Whitford, Frank, ed. (1992). The Bauhaus: Masters & Students by Themselves. London: Conran Octopus. p. 32. ISBN 978-1-85029-415-3. He invented the name 'Bauhaus' not only because it specifically referred to bauen ('building', 'construction')—but also because of its similarity to the word Bauhütte, the medieval guild of builders and stonemasons out of which Freemasonry sprang. The Bauhaus was to be a kind of modern Bauhütte, therefore, in which craftsmen would work on common projects together, the greatest of which would be buildings in which the arts and crafts would be combined. ^ a b Hal Foster, ed. (2004). "1923: The Bauhaus … holds its first public exhibition in Weimar, Germany". Art Since 1900: Volume 1 – 1900 to 1944. Rosalind Krauss, Yve-Alain Bois, Benjamin Buchloh. New York: Thames & Hudson. pp. 185–189. ISBN 978-0-500-28534-3. ^ Curtis, William (1987). "Walter Gropius, German Expressionism, and the Bauhaus". Modern Architecture Since 1900 (2nd ed.). Prentice-Hall. pp. 309–316. ISBN 978-0-13-586694-8. ^ "The Bauhaus, 1919–1933". The MET. The Metropolitan Museum of Art. Retrieved 14 June 2016. ^ "Bauhaus". Encyclopædia Britannica. Retrieved 14 June 2016. ^ Ackermann et al., Bauhaus (Cologne: Könemann, 1999), 406. ^ Curtis, William (2000). "Walter Gropius, German Expressionism, and the Bauhaus". Modern Architecture Since 1900 (2nd ed.). Prentice-Hall. p. 120. ISBN 978-0-13-586694-8. ^ Richard A. Etlin (2002). Art, culture, and media under the Third Reich. University of Chicago Press. p. 291. ISBN 978-0-226-22086-4. Retrieved 15 May 2011. ^ a b David Spaeth (1985). Ludwig Mies van der Rohe. Rizzoli New York. pp. 87–93. ISBN 978-0-8478-0563-1. ^ Gropius, Walter (April 1919). "Manifesto of the Staatliches Bauhaus". BauhausManifesto.com. ^ "Unesco celebrates Tel Aviv". BBC News. 8 June 2004. Retrieved 26 April 2010. ^ Centre, UNESCO World Heritage. "White City of Tel-Aviv – the Modern Movement". whc.unesco.org. ^ Edward Lucie-Smith, Late Modern: The Visual Arts Since 1945, London: Thames & Hudson, 1976, p. 164. ^ William Chapin Seitz, Marla Price, Art in the Age of Aquarius, Smithsonian Inst Press, 1992, p. 92. ^ Jean Luc Daval, History of Abstract Painting, Paris: Hazan, 1989, p. 199. ^ See: William Chapin Seitz, Marla Price, Art in the Age of Aquarius, Smithsonian Inst Press, 1992, p. 92; Edward Lucie-Smith, Late Modern: The Visual Arts Since 1945, London: Thames & Hudson, 1976, p. 164; Jean Louis Ferrier, Yann Le Pichon, Art of our century: the story of western art, 1900 to the present 1990, London : Longman, p. 521. ^ Guitemie Maldonaldo, "Une réception différée et relayée. L'Atelier d'art abstrait et le "modèle-Bauhaus", 1950–1953", in: Martin Schieder, Isabelle Ewig, In die Freiheit geworfen: Positionen zur deutsch-französischen Kunstgeschichte nach 1945, Oldenbourg Verlag, 22 Nov 2006, p. 100. ^ Jean Louis Ferrier, Yann Le Pichon, Art of Our Century: The Story of Western Art, 1900 to the Present, 1990, London: Longman, p. 521. ^ Ulm, Ulmer Museum/HfG-Archiv. "HfG-Archiv Ulm – The HfG Ulm". www.hfg-archiv.ulm.de. ^ Bayer, H., Gropius, W., & Gropius, I. (Eds.). (1975). Bauhaus 1919–1928. London: Secker& Warburg. ^ Itten, J. (1963). Design and Form: The Basic Course at the Bauhaus and Later (Revised edition, 1975). New York: John Wiley & Sons. ^ O'Connor, Z. (2013). "The Shillito Design School: Australia's link with the Bauhaus". The International Journal of Design in Society, 6(3), 149–159. ^ "UNESCO, Decision Text, World Heritage Centre, retrieved 14 September 2009". ^ "100 years Bauhaus: the opening festival". Retrieved 17 January 2019. ^ "Bauhaus in pictures: The architects exiled by Nazis". BBC News. 16 January 2019. Archived from the original on 17 January 2019. Retrieved 17 January 2019. ^ "100th Anniversary of Bauhaus". Google. 12 April 2019. Oskar Schlemmer (1972). Tut Schlemmer (ed.). The Letters and Diaries of Oskar Schlemmer. Translated by Krishna Winston. Wesleyan University Press. ISBN 0-8195-4047-1. Stefan Boness (2012). Tel Aviv – The White City. Berlin: Jovis. ISBN 978-3-939633-75-4. Magdalena Droste, Peter Gossel, ed. (2005). Bauhaus. Taschen America LLC. ISBN 3-8228-3649-4. Marty Bax (1991). Bauhaus Lecture Notes 1930–1933. Theory and practice of architectural training at the Bauhaus, based on the lecture notes made by the Dutch ex-Bauhaus student and architect J.J. van der Linden of the Mies van der Rohe curriculum. Amsterdam: Architectura & Natura. ISBN 90-71570-04-5. Anja Baumhoff (2001). The Gendered World of the Bauhaus. The Politics of Power at the Weimar Republic's Premier Art Institute, 1919–1931. Frankfurt, New York: Peter Lang. ISBN 3-631-37945-5. Boris Friedewald (2009). Bauhaus. Munich, London, New York: Prestel. ISBN 978-3-7913-4200-9. Catherine Weill-Rochant (2008). Rita H. Gans (ed.). Bauhaus: Architektur in Tel Aviv (in French and German). Zurich: Kiriat Yearim. Catherine Weill-Rochant (April 2009). The Tel-Aviv School : a constrained rationalism. DOCOMOMO journal (Documentation and conservation of buildings, sites and neighbourhoods of the modern movement). Kirsten Baumann (2007). Bauhaus Dessau: Architecture Design Concept. Berlin: JOVIS Verlag. ISBN 978-3-939633-11-2. Eric Cimino (2003). Student Life at the Bauhaus, 1919–1933 (M.A.). Boston: UMass-Boston. "Germany celebrates the Bauhaus Centenary". Bauhaus Kooperation. Retrieved 28 March 2019. "100 years of Bauhaus". Bauhaus Kooperation. Retrieved 12 April 2019. "Glossary definition for Bauhaus}". Tate art. Retrieved 12 April 2019. Gropius, Walter. "Manifesto of the Staatliches Bauhaus". Design Museum of Chicago. Retrieved 12 April 2019. "Fostinum: Photographs and art from the Bauhaus". The Fostinum. Retrieved 12 April 2019. "Finding Aid for archive of Bauhaus student work, 1919–1933". J. Paul Getty Trust. Retrieved 12 April 2019. "Finding Aid for archive of Bauhaus typography collection, 1919–1937". J. Paul Getty Trust. Retrieved 12 April 2019.